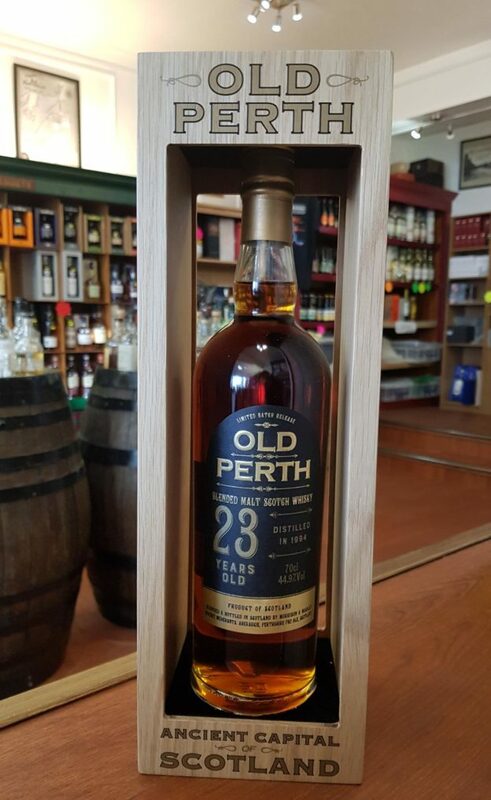 Old Perth 23 Year Old Blended Malt, distilled in 1994. Limited Batch Release. Morrison & MacKay say "We are incredibly excited to introduce a trilogy of Old Perth Single Cask Releases, the oldest we have ever released. Each of these are bottled at cask strength in new bespoke oak boxes, non-chill filtered and naturally coloured. 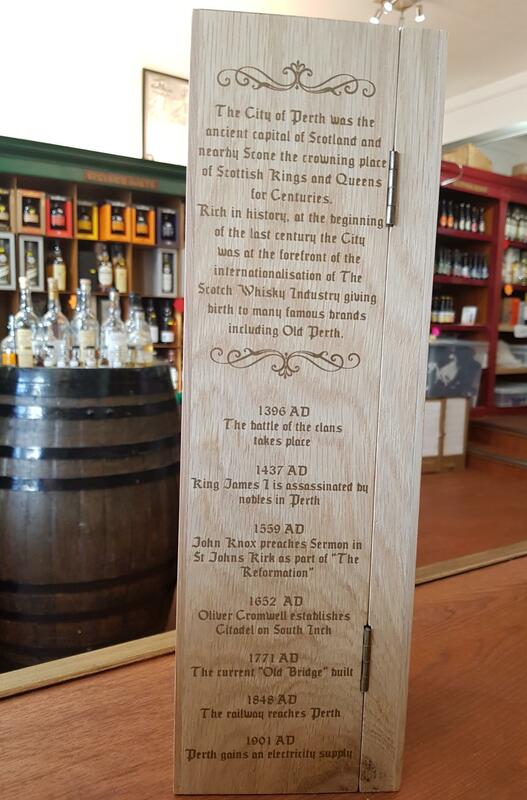 We have a 23 Year Old Blended Malt from a sherry cask, a 41 Year Old Blended Malt from a sherry cask, and a 46 Year Old Blended Grain from a bourbon cask." 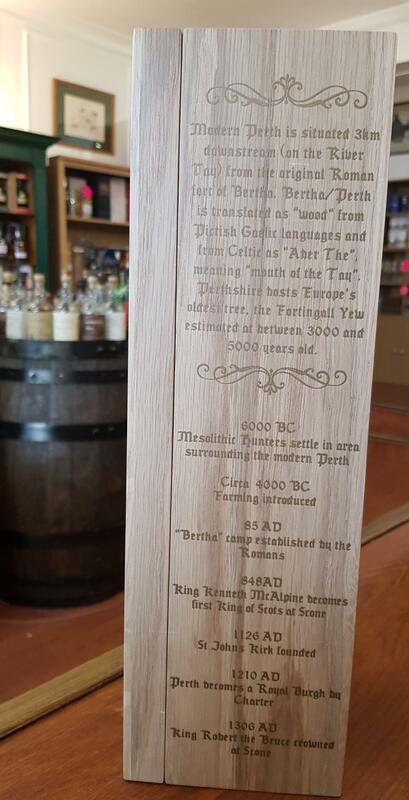 This is the Old Perth 23 Year Old Blended Malt, distilled in 1994.